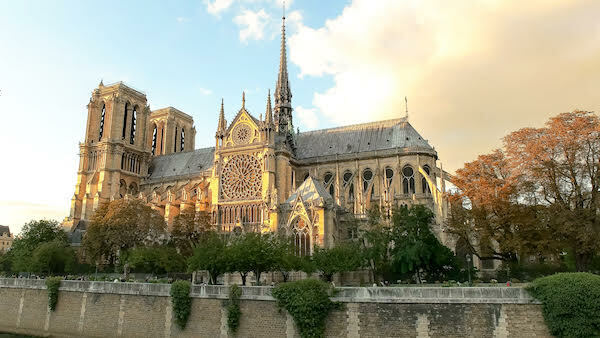 The fire that broke out in Notre Dame has devastated people around the world, as parts of one of the most iconic architectures throughout history are now damaged. However, if one must find a silver lining in it all, it is that the interior of the cathedral seems to be intact. Photographs taken at the scene show the inner center of the 850-year-old cathedral to be untouched. According to the mayor of Paris, Anne Hidalgo, the altar and the cross are preserved, though there is a massive hole in the roof. The crown of thorns and the tunic, two essential religious representations for the Catholics, have also been saved, Bishop Patrick Chauvet, rector of the cathedral told Le Monde. In spite of some good news, pieces of the historically and culturally significant architecture are still lost forever. It will be quite some time before the citizens of Paris and architecture lovers worldwide can recover from the tragedy.